W estminste r John Knox Press is pleased to present the seventeen- volume Old Testament for Everyone series. Internationally respected Old Testament scholar John Goldingay addresses Scripture from Genesis to Malachi in such a way that even the most challenging passages are explained simply and concisely. The series is perfect for daily devotions, group study, or personal visits with the Bible. In this volume on Isaiah, Goldingay explores the first of the great prophetic books. 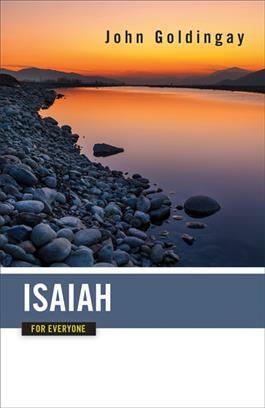 Isaiah is a compilation of the prophetic messages of several prophets. Their messages to the people of Judah and Jerusalem included a call for injustice to be recognized, a message of liberation and hope from the oppressors of the people, and a message of the coming day of judgment. These separate messages are held together by the promise of a new age of redemption and peace that lies beyond the crisis of judgment.